But other than that… Things are good! 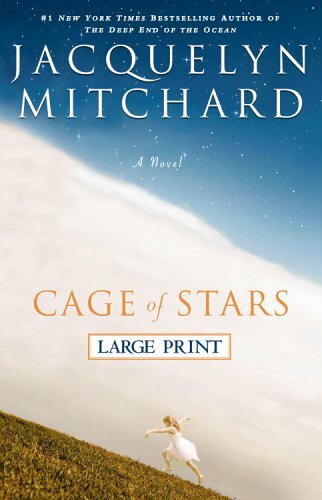 Cage of Stars by Jacquelyn Mitchard. Got it at the Goodwill (of course) which is why it’s the large print version. Don’t need that quite yet! I wasn’t sure what I’d think but so far I’m enjoying it. It’s written from the perspective of a 13-year-old girl whose family suffers a terrible tragedy. It feels like a Young Adult novel. I’ll keep you posted on what I think. Overnight oats! 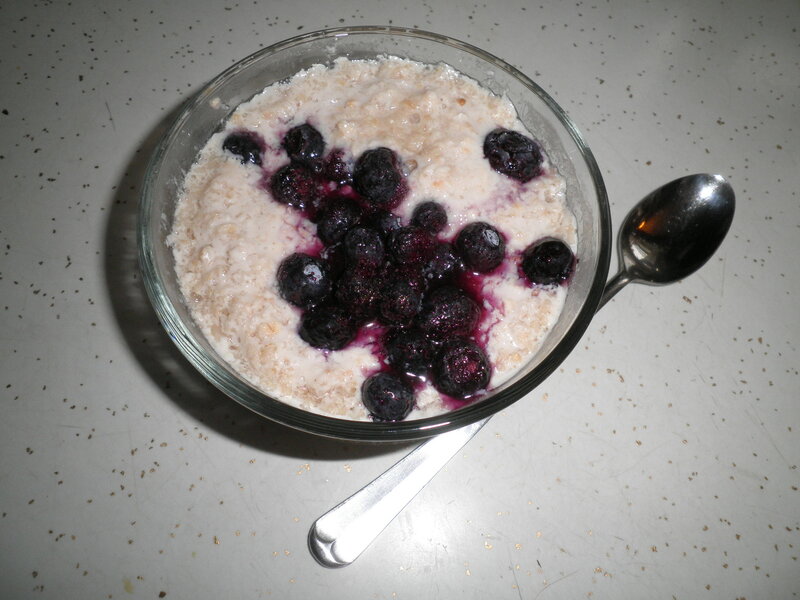 Half cup of oats, Half cup Kefir, Half cup almond milk, in the morning topped with home frozen blueberries and microwaved for 1.5 minutes. So good. 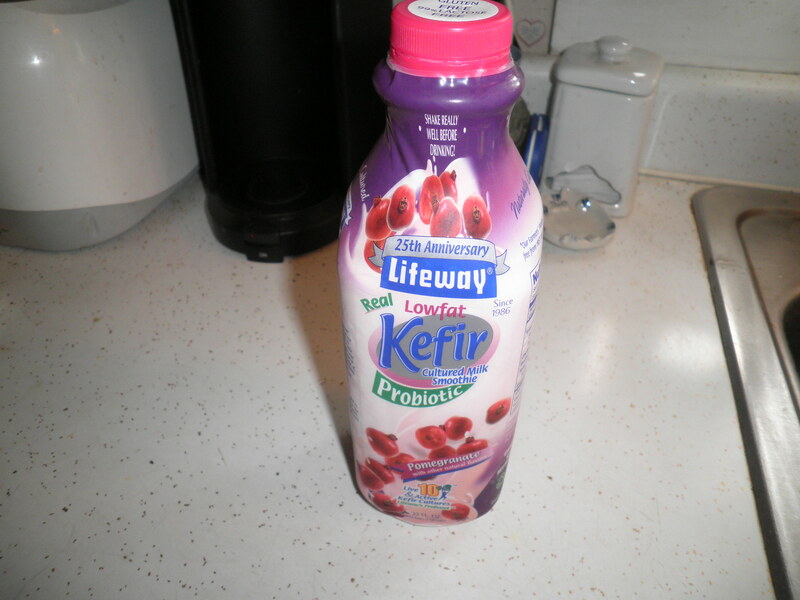 The Kefir makes it a little juicier than if it was regular yogurt, and very tangy from the pomegranate flavor. Really good! I’m also very excited that Aldi now carries, fat-free half & half. I picked some up. They also have almond milk now too. I haven’t tried it yet, I had just gotten some at Shoprite before I found it at Aldi. Next time. I really loved my Wednesday night dinner. So pretty and colorful while it’s cooking! It was just delicious! I’ve gotten out of the habit of making grains to go with my veggie combos. I need to do that…they are much more filling that way. This entry was posted in Uncategorized and tagged beans, books, crock pot, Weight Watchers. Bookmark the permalink. happy friday to you, too, fran! nice to “chat” and catch up with your blog post, today! i’ve read one j mitchard, i do believe – i’ll look forward to your review when you’re done! i actually like getting large print sometimes because i can read in bed before i fall asleep without squinting! Cathy, glad that you like my “chatty” posts! I’m enjoying the book so far. Sometimes I have a hard time reading the large print books. It throws my timing off…shorter sentences…anyway, as long as the book is good! The black beans dish sounds wonderful! I love beans! Thanks, Mare! It’s so easy, simple and Good!! Have a great weekend! I’m reading a YA novel right now…only about halfway through, so I don’t know if I’d recommend it yet or not. I’ll get back to you on that one. And I love large print books–they make me feel like I’m reading SO FAST, you get to flip a page every five seconds. I’ll look forward to hearing about the book, Allie. The large print throws me off a bit, I don’t know why. Although, with my new glasses, I’m having less trouble than usual. I have kefir in the fridge right now, plain and cherry. I mix the two to cut down on sugar but still keep the yummy flavor, although Lila is perfectly content to just drink the plain. Have a fabulous weekend Fran! Thanks, Marie! I only just discoverd kefir a few months ago. Very tasty! Hope you have a great weekend also! Actually I’m reading a book right now that when I finish, I think I’ll have some questions for you. Take care! I haven’t completed the entire thing yet, but you may like Goodnight Nobody by Jennifer Weiner! It’s sort of a suspenseful mystery book. But, anyhoo, beans beans the magical beans! I swear that the blogging community is filled with beans lately! I am dying to make some! Cara, I’ve read Goodnight, Nobody and I think it was my favorite Jennifer Weiner so far! I have one of hers to read, can’t remember the name right now. I like her! Beans are Wonderful and very good for you. Good healthy protein and fiber. Try them! 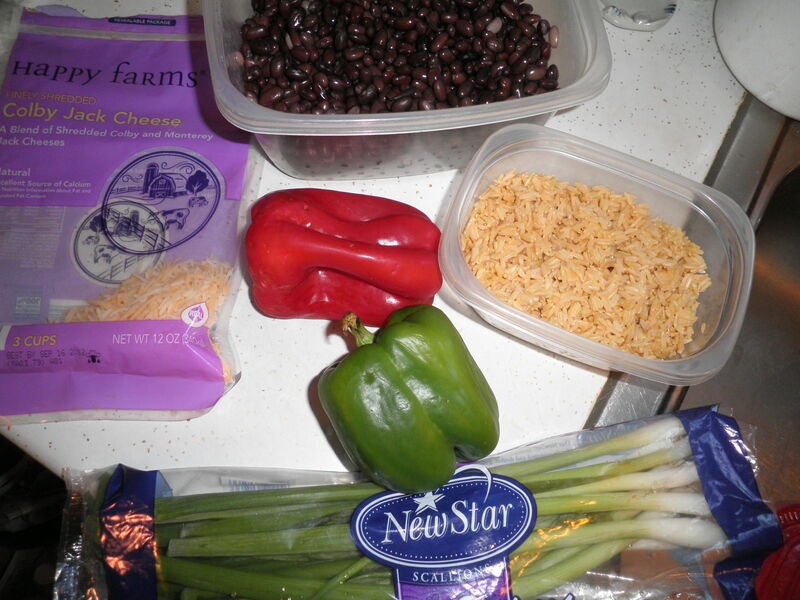 I’m going to make a black bean and corn salad to take over to my friend’s house next week. (Our kids are having a playdate.) 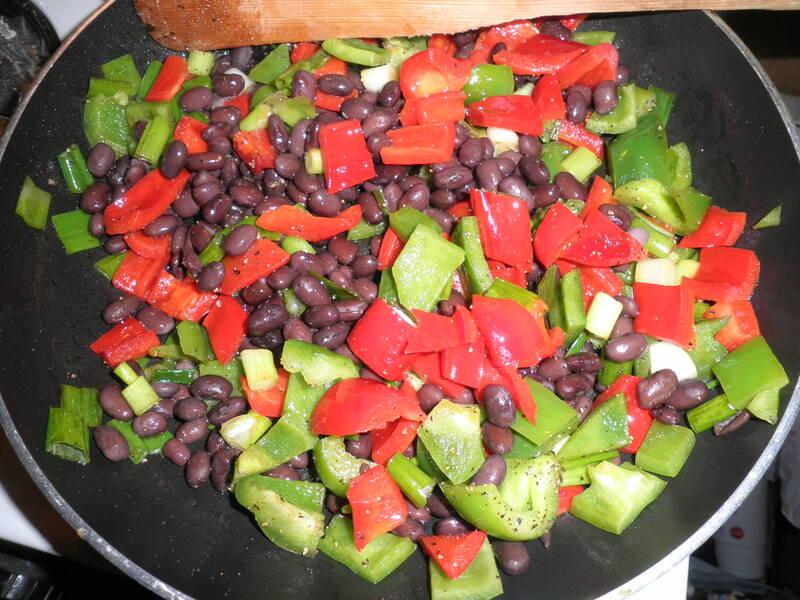 Love black beans–your dinner looks delicious! Dana, your salad sounds great! Good combo! I really enjoy Jennifer Weiner, can’t remember the name of the one I have in my to-read pile. Of course I could go in the other room to look, but that would require getting up! 😉 I’ll get to it soon enough! Happy Friday Fran, hope you have a great one and good luck at WW tomorrow. 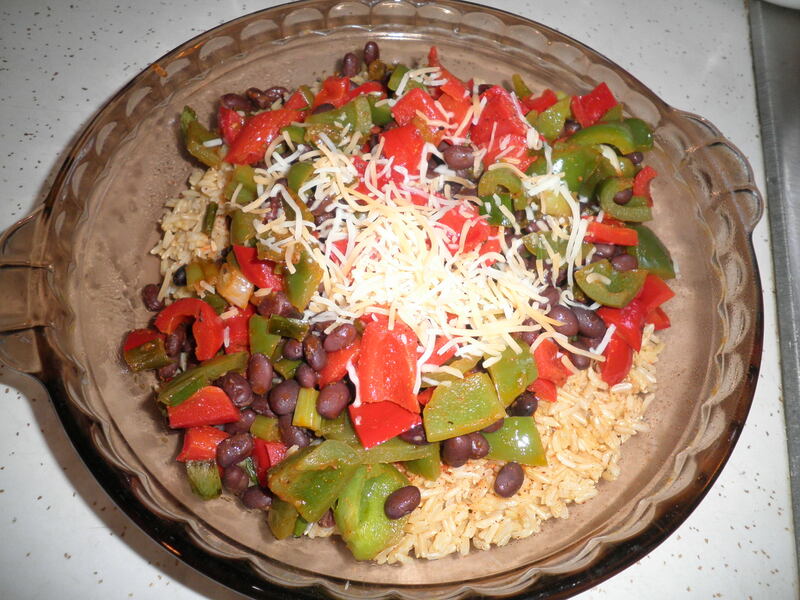 The black bean dish looks yummy!